I came across this heartfelt cover of Nick Cave’s ‘People Ain’t No Good’ on the end credits of ‘Damned’ – Jo Brand’s very dark comedy about social workers. I had to add it to the tracklist for my WIP, ‘Emmet and Me’, about children’s homes in Ireland in the 1960s. It’s ideal for creating the right atmosphere to write by. And ten-year-old Emmet and his friend Claire would definitely agree with the sentiment of the song’s title. 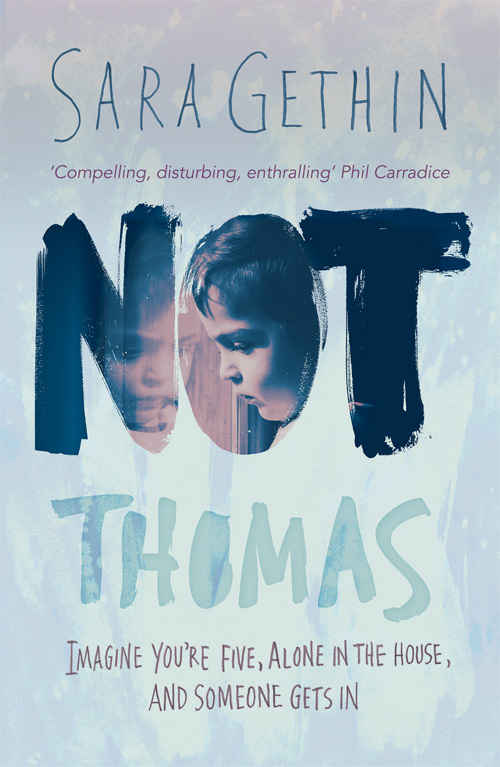 Sara’s debut novel ‘Not Thomas’ – a story of child neglect, love and hope, shown through the eyes of five-year-old Tomos – is published by Honno Press in paperback and as an e-book, and is available to buy direct from the publisher, from Amazon and from bookshops. Today’s Welsh word, for ‘Not Thomas’ readers unfamiliar with the language, is in fact three words: Nos da, cariad. On page 355 of ‘Not Thomas’, Tomos is thinking about his new foster mother, Tess, and how she says ‘Nos da, cariad’ when she puts him to bed. I’m sure, given the context, the meaning is pretty easy to work out. Nos = night; da = good; cariad = love. As it happens, there’s a David Gray song with exactly the right title. Today’s Welsh word, for readers of Not Thomas unfamiliar with the language, is again not a word at all, but the name of a special day – Dydd Gwyl Dewi (sorry, I can find a w with a ‘to‘ for gwyl on WordPress – anyone know where it is!?). On page 154 of Not Thomas, Miss is comforting Tomos. He thinks he might not be going to the zoo after all, because he doesn’t have his permission slip. On the wall of the school hall is a collage of a red dragon that Tomos helped make. It’s marking Dydd Gwyl Dewi otherwise known as St David’s Day and celebrated on March 1st. But I’m guessing everyone already knew that. I’ll be taking part in the Big Green Bookshop’s Not the Booker discussion event in London this evening, so today, in need of a little relaxation, I thought I’d turn to the music of Kate Bush. I’ve chosen ‘Moments of Pleasure’. This is the song I played when I wanted to get into the mood for writing as Tomos. I don’t really know why this song came to epitomise Tomos for me – the lyrics don’t relate to the theme of Not Thomas at all – but something in the tone of the music just worked. I think the music has a sadness but also hope. P.S. If you haven’t already, please consider voting for Not Thomas on the Guardian’s online Not the Booker prize page – voting closes on Sunday night and the winner will be announced on Monday, 16th October. Thank you! Today’s Welsh word, for readers of ‘Not Thomas’ who aren’t familiar with the language, isn’t a word at all, but a title. It’s Calon Lân and it’s the name of a well-loved Welsh hymn that’s often sung at funerals. glân (which loses its ‘g’ when it mutates after calon) = clean. And since I never miss a chance to play my favourite version of the hymn, here’s Cerys Matthews once again. A huge thank you and diolch yn fawr to everyone who voted ‘Not Thomas’ onto the shortlist of the Guardian’s Not the Booker prize. The final public vote has just opened to help decide the winner. I know the original vote was fraught with problems because of the Guardian’s fiendishly difficult website, but if you’d like to vote for Not Thomas and have the energy to tackle that voting page again, this is the link. Hopefully, having navigated the page once, second time around it won’t be quite so horrendous. Of course, you’re still able to vote even if you didn’t vote in the first round. Click in the box that says ‘join the discussion’ near the bottom of the voting page. The Guardian would like your vote to start with the word VOTE then the title and author of the book and a 50 word review. Your previous review should still be online, and if you click on your username it should take you to it. and I have yet to take part in the Big Green Bookshop event, where I’ll meet some of the other authors, which I’m really looking forward to, and my scathing reviewer, Sam Jordison, which should be rather interesting. I’ll be reporting back when I get the chance! In the meantime, thank you so much for your support of Not T and me – I appreciate it very much indeed. Today’s Welsh word, for readers of Not Thomas who aren’t familiar with the language, is croeso – a word you’ll see very often around and about in Wales. It means ‘welcome’. It’s found on page 92 where Saint (that friendly drug dealer) whispers the word through Tomos’s bedroom door after Tomos has thanked him for helping work out when school starts again (two more sleeps). It’s also after Saint has shamed Brick into helping Tomos get his lovely new red truck out of the box. Sadly, that doesn’t go well. Sara’s debut novel ‘Not Thomas’ – a story of child neglect, love and hope, shown through the eyes of five-year-old Tomos – is published by Honno Press in paperback and as an e-book, and is available to buy direct from the publisher, from Amazon and from all good bookshops. Today’s Welsh word, for readers of ‘Not Thomas’ who aren’t familiar with the language, is duw – which sounds like what you might find on your lawn in the morning. It means ‘god’. Wow! What a week for the Guardian’s Not the Booker prize. Everything was going along swimmingly – albeit with some pretty choppy waves for a couple of us on the shortlist – and then crash! Out of the blue, Ann O’Loughlin, author of The Ludlow Ladies’ Society, gave Sam Jordison quite a shock. Ann has withdrawn her novel from the shortlist. Ann already has a very large, faithful following of readers, and as she points out in her statement to the Guardian, her novels have been translated into eight languages and are published in the US. As she says, she didn’t ask to be nominated, and she was worried from the start about what she refers to as the “unjustifiable criticism” that appeared in the comments section from people who hadn’t even read the book. There are a few people on the Guardian page who clearly don’t read the nominated books but still enjoy leaving a barbed comment or two. All that is par for the course, as far as I’m concerned, but then I’d followed this prize for a few years and knew exactly what to expect. Had I been going into this without a clue what it could be like, then I might feel, like Ann, that it wasn’t worth the stress. And yes, it is stressful at times – and I imagine it will be even more so, now that mine is the only novel left on the shortlist that Sam has been particularly scathing of. But for me it’s worth that bit of stress. Unlike Ann, who’s been writing novels for a number of years and has a few under her belt, Not Thomas is my first novel for adults. I don’t have a ready-made fan base – although I’m incredibly grateful to my wonderful readers who have championed Not Thomas and brought it to the attention of others, and who nominated it for the Not the Booker prize and voted it onto the shortlist. I always said that being part of this prize was like building a platform for Tomos – giving him a headstart in a world jam-packed with new books. Not Thomas is a debut novel, published by a tiny publisher, and Not the Booker has brought it to a wider audience than would otherwise have been possible so soon after its publication. I’m really sorry Ann has decided to leave the competition, but I know her novel will do very well, with or without the publicity of Not the Booker. The other week I went into Easons, the huge bookstore on O’Connell Street in Dublin. Ann’s novel The Ludlow Ladies’ Society was very prominently positioned on a table near the main door. It had a similar position in many of the other Dublin bookstores I visited too. I have no doubt it’s going to fly off the shelves in Ireland and beyond. So, au revoir and all the very best to Ann. While the five of us left on the shortlist will be squirming for a while yet – and me in particular – I know The Ludlow Ladies’ Society will be doing just fine. Thanks for reading – please let me know your thoughts! P.S. Don’t forget the Narberth Book Fair in Pembrokeshire tomorrow, 23rd September. At 11am I’ll be chatting to Jan Baynham about writing ‘Not Thomas’ and my experience of being on the Not the Booker prize shortlist. It’s free so come along!